While proximity is a huge bonus, there’s much more to the whole Mexico package to make it one of the easiest live-overseas options. In their breakout session on Mexico at our recent Retire Overseas Conference in Las Vegas, Jim Hardesty and Carlos Munguia reminded us of some more advantages of setting up a new life in Mexico. Expat presence. One million Americans already call it home, there are lots of communities you can slot right into. Even if you prefer to live outside the established expat communities, it’s not difficult to seek out expat company as required. You’ll be understood. While you’ll always have a more fulfilling experience if you make the effort to learn Spanish, you won’t be entirely lost in Mexico without it (at least for starters). English is becoming a second language in Mexico and is taught in schools. In the bigger cities, you’ll find English is widely spoken. Unlimited living options. Much like the United States, Mexico has diverse living options. You can take your pick of Spanish-colonial cities, Caribbean beach towns, tranquil island living, or mountain escapes. Familiarity. You may never care to see Walmart or Starbucks again… but if you do need or wish to shop in familiar stores and modern shopping malls, you can find everything you need in the big cities. Lower cost of living. Right now, the dollar-peso exchange rate is highly in your favor. Your buying power is almost double what it was a decade ago. In Guadalajara, the second largest city, you could rent a nice place for US$500 a month or buy a house for US$75,000 or less. Right in the heart of Mexico, the colonial city of San Miguel de Allende is a little more expensive—average rent is US$650 a month—but living is still very affordable. And, San Miguel has a distinctly international feel with world cuisine and an established art and theater scene. Mexico offers one of the best—and most affordable—health care systems in Latin America… as proven by the increasing number of Americans that travel over the border for affordable surgery in places like Puerto Vallarta and Guadalajara. Good public transport. Outside of Mexico City where public transport is crowded, towns are well serviced by bus. There is also a great city link—with air-conditioned coaches, comfortable seats, and movies—providing an affordable alternative to flying between Mexican cities. Residency is straightforward. For a temporary or permanent residency visa, you must apply to the Mexican consulate before you travel to Mexico. There is no minimum income requirement—it’s subjective, depending on your age, where you’ll be living, etc. We know plenty of expats who live here on Social Security alone. Top tourist destination. Mexico welcomed 25.8 million visitors in 2015. 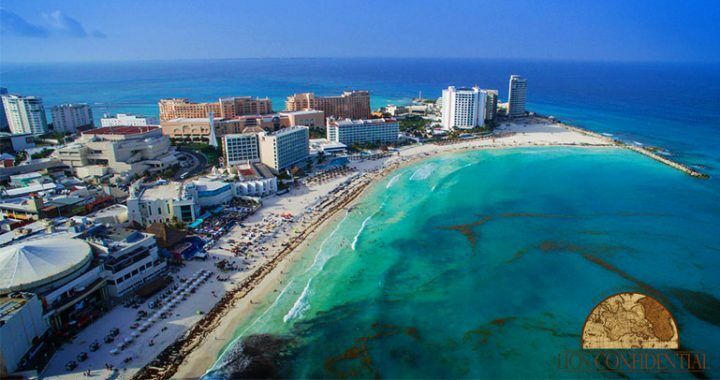 Cancún, its main tourist mecca, has developed into a world-famous beach resort… which means, if you invest in a rental property along the Riviera Maya (the stretch of Caribbean coast that runs from Cancún down to the border with Belize), you’re buying into an area that has an average occupancy rate of 80%. Mexico has almost every lifestyle on offer. It all comes down to your own preferences. You can, if you wish, enjoy all the comforts and familiar brands of home… go for a more traditional way of life… or enjoy the best of both worlds. But you won’t really know what and where makes sense for you until you come and find out in person. Posted in Live And Invest Overseas Confidential and tagged conference, live and invest overseas mexico, mexico retirement, retire to mexico.